Is the Cost of Photography School Worth the Debt? Higher education in the U.S. has become a fraught issue. Surveys have found that not going to college may detrimental for high school graduates, and yet, about 25% of college graduates say their degree wasn’t worth the cost. Which is a crucial point, considering the debt of going to school is mounting faster than most students (and economic institutions) can handle it. And college still doesn’t guarantee you a job; while rates of employment are higher among those with college degrees, about half of graduates say they haven’t been able to find a job in their field. This is especially true for those who are involved in creative pursuits. Overwhelmingly, artists and other creative individuals attend private universities or for-profit arts colleges, which come with a higher price tag. And yet, most photographers, artists, and even writers tend to find more success (not to mention fulfillment) working for themselves, as freelancers, which, unlike a career as a lawyer, decidedly does not require four-year degree. There are several reasons why creatives — and especially photographers — say that the cost of school just doesn’t add up. In fact, some of the most notable photographers around are self-taught — Anne Geddes, Sue Bryce, Susan Stripling, Peter Hurley, just to name a few — and plenty more have made it work with just some on-the-job or vocational training through community colleges, online courses, or mentorships with others in the field. Going to photography school (or any other kind of school) also immediately puts artists at a disadvantage. Working for yourself already almost always comes with a fair amount of debt, and working your way out of it can be extremely difficult. And that’s when you can find the work. 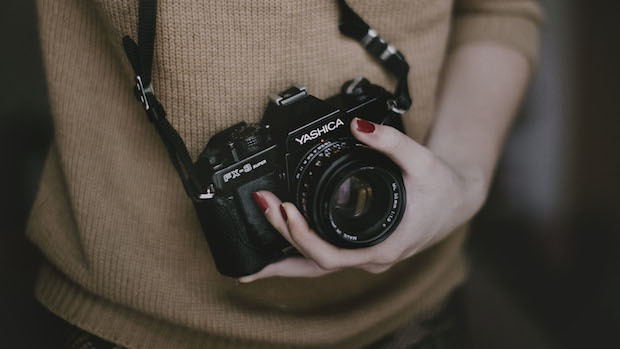 According to Kiplinger (via Yahoo), the unemployment rate for accredited photographers is 7.3% with recent graduates reaching as high as 12.9%. The crush of massive debt takes a massive emotional toll, not to mention a monetary one. “Debt is a choking factor that can kill your business,” says commercial photographer Joel Grimes. “Don’t spend more money than you have coming in.” Which, for students or the aforementioned unemployed accredited photographers, might not be anything at all. Photography school may not also prepare prospective new shooters for the non-technical aspects of their work. Business, marketing, bookkeeping; many really crucial elements of being a small business owner or a freelancer might get skipped or glossed over in photo school, leaving graduates with only a portion of the knowledge they need to make a living. That challenge is being met by alternative methods of education, like vocational schools and community college, which can allow more freedom at a lower cost. Instead of spending an excessive amount of time getting what’s considered to be a well-rounded arts education, savvy students can select classes to specifically touch on their weak spots. As the new economy makes itself more mainsteam — one in three Americans is now working in some kind of freelance capacity — it’s possible that a new educational structure might also begin to emerge. Rather than expensive, one-size-fits-all curricula, which leave students deeply indebted and without many professional options, the new method of education and career pursuit could look a lot more like remote community colleges, online education, and a focus on skill-specific, on-demand offerings. And even if that’s not exactly the new normal, artists and creatives will still have the option to ask a question that’s been viewed as a default for years: Is it worth it? Should You Go to Photography School?